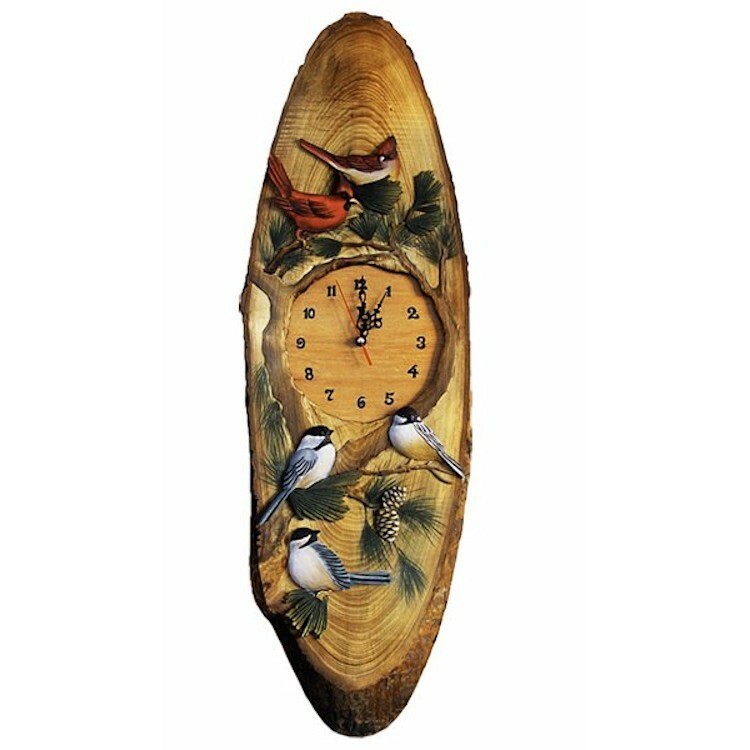 Red Cardinals and Black and White Chickadees are featured on this Song Bird Wood Wall Clock . Made of pine with a hand carved details. What a great addition to your any room in your home.